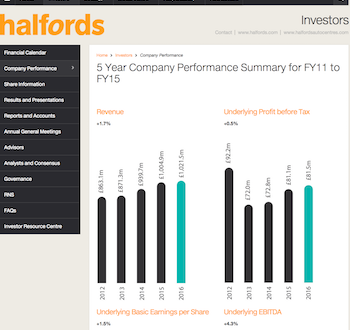 Halfords has enjoyed a small boost in sales but the weak pound has dented its profits, the company said in its latest financial statement. Pre-tax profits fell 10.5 percent to £71.4m for the year to March. Revenue was up by 7.2 percent to £1.1bn. The group’s statement said that Brexit will pose "significant uncertainties" especially as the "value of Sterling fell by nearly 20% since FY16" but that Brexit-induced "staycations" bodes well for a retailer of bicycles and camping equipment. "Much of our sales are in needs-based categories that are more resilient to macro-economic cycles and our discretionary categories, such as cycling, camping and travel solutions," said the statement, "and could benefit from an increase in the number of people choosing to stay at home rather than holidaying abroad; a trend that we observed in 2009." 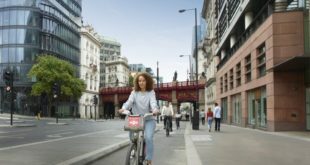 Halfords believes the prospects for increased bikes remain good because "participation levels (particularly amongst females) in the UK remain much lower than in many other European countries" but that this could be boosted by bike lanes, and the company welcomed "Government infrastructure investment in London and other UK cities." The company also sees greater potential in the e-bike market. The 479-store group believes that the cycle market will grow by 3-5 percent per year in the near-future, and that it will outperform its rivals. The retailer plans to open five more IBD-apeing Cycle Republic stores within the next 12 months – it already has 15 of these stores. "The cycling market is highly fragmented," states the Halfords statement. "There are over 2,500 bike shops in the UK, the majority of which are independents. The changing marketplace and growth in online is making it increasingly difficult for these independents to be competitive. Our research has identified that the number of bike shops has declined by nearly 10 percent over the last year." 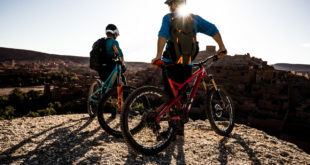 Cycling sales grew by 5.1 percent on a like-for-like basis and 18.2 percent in total after including new Cycle Republic stores and the acquisition of Tredz and Wheelies, says the Halfords statement. the exclusive Wiggins range, as well as the cycling promotion and favourable weather in the peak summer period," said the statement. The statement added that 85 percent of online orders made on Halfords.com were picked up in store. "This high proportion of click and collect continues to differentiate us from other retailers, as our online business, instead of cannibalising our bricks and mortar operation, drives footfall into our stores, with over 80 percent of customers wanting advice or fitting service with their purchase." our plans are well developed and I am confident this will be offset over time." McDonald is leaving the group in October to become head of non-food at Marks & Spencer. 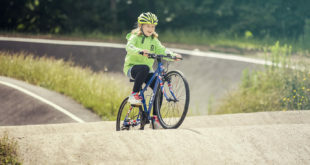 She believes prices for bikes sold at independent retailers had risen by as much as 15 percent in the past year – Halfords has so been able to keep its price rises down to below five percent.